Sesame Street Live "Elmo's Super Heroes" is coming to The Theater at MSG! | DaDa Rocks! 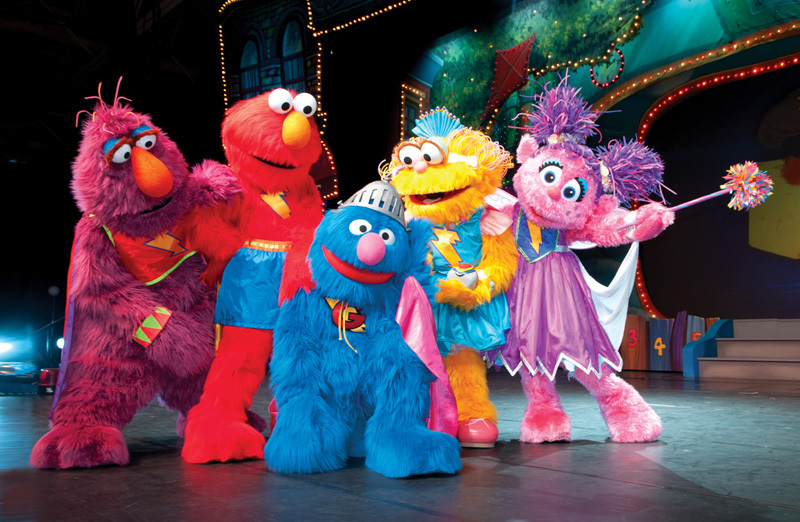 Sesame Street Live “Elmo’s Super Heroes” is coming to The Theater at MSG! Use coupon code DADA to save 25% on tickets! 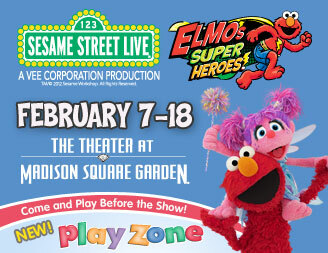 Play Zone at Sesame Street Live is back by popular demand! Come and play BEFORE the show! Play Zone at Sesame Street Live – a fun way for children to experience their favorite street! Imagine your child sitting in Big Bird’s nest, popping up in Oscar’s trash can, twirling in Zoe’s dance studio or visiting Elmo’s World. You never know who’ll make an appearance! 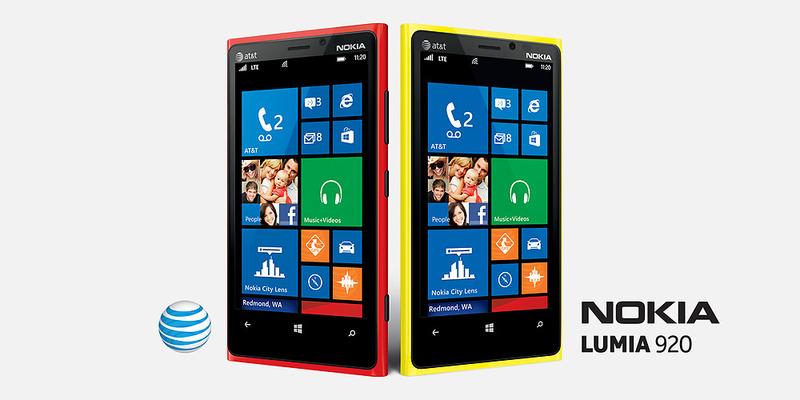 Families won’t want to miss a single picture-perfect moment. Play Zone opens one hour before the show – best of all, Play Zone is FREE with your Sesame Street Live ticket! Get the ultimate fan experience with Sunny Seats! The Sunny Seats Package includes a VIP Seat and a pre-show Meet & Greet photo opportunity with two Sesame Street Live Friends. Sunny Seat orders will include a special admittance ticket for entry into the Meet & Greet. You will receive the special admittance ticket with the rest of your show tickets. All Meet & Greets start 90 minutes prior to the performance. Please meet at the Sunny Seats sign. Latecomers may miss the opportunity. Please bring your own camera. Not only do we have that DADA discount code to Sesame Street Live when its in New York City but if you keep an eye on the dadarocks’ facebook page http://facebook.com/dadarocks – you might be able to win 4 tickets for yourself. 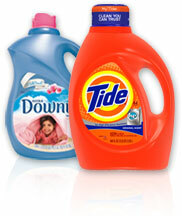 LensCrafters Semi-Annual Sale is almost over! and a RayBan Giveaway! We would LOVVVVVVVE to go! !